There’s a common misconception that if you’re not married to your child’s other biological parent, then you can’t leave South Africa. 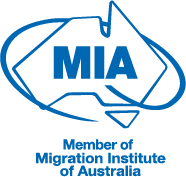 The misconception generally stems from the requirement of the Australian government that in order for one parent to emigrate, he or she requires the other biological parent’s consent to the emigration. Often, and because of, the fractured relationship between the parents, the remaining parent is uninclined to give the necessary consent (even when the emigration is unquestionably in the best interest of the child), leaving the migrating parent with a severe sense of frustration and hopelessness. Fortunately, the common misconception is just that, and the migrating parent does in fact have several options available to him or her to facilitate their migration with their child, should the remaining parent resist giving the necessary consent. The most common recourse in situations such as this is for the migrating parent to make an application to court seeking a court order that he or she have the sole decision-making role as to the child’s migration, thereby disposing of the need for the consent. These applications can be quite cumbersome, particularly when there is much acrimonious history between the biological parents. Additionally, the motivation that the child’s best interest is being best served by leaving South Africa, and then growing up in Australia away from the remaining parent, needs to be very well ventilated. So, considering that success of this application may ultimately affect your entire migration it’s sensible to instruct lawyers who are well versed in such applications. Having said that, and largely because of the grave circumstances children often have to face growing up in South Africa, and equally the enormous benefits to a child growing up in Australia, the South African courts have become quite willing to grant these applications. Recently, there have been many cases where the migrating parents have successfully obtained the court orders necessary to either force the remaining parents to consent to the emigration or disposing of the consents altogether. Fundamentally the court must decide what’s in the best interest of the child – either to stay or go - but it’s these recent cases that have largely turned the tide in favour of the migrating parent. Most split parents will know that the practical administering of a child’s care is ultimately decided between the parents by an agreement. Even after many months or years of ugly litigation they are eventually able to come together and through a formal agreement decide on things such as maintenance, contact, schooling etc. Parents will also know that, because the agreement is usually made an order of court, should one of the parents breach their obligations that parent then becomes susceptible to further court orders (and related legal costs) forcing their compliance. In the way that general child care issues are agreed to between the parents so can any issues regarding emigration. The parents can regulate, and agree on, how often the child will telephone or Skype call the remaining parent, how often and for what duration the child will come back to see the remaining parent or in fact that parent coming to visit the child. This agreement can also, as with those ordinarily done between parents, be made an order of the South African court. The immediate question is: but how can the remaining parent enforce their rights against the migrating parent who is already in Australia? The fact is that that whatever the agreement and culminating South African court order say, can be “mirrored” by a similar order in the Australian court. That way the remaining parent can be sure that whatever he or she has agreed to in terms of future contact with his or her child after their leaving, can be protected both in South Africa and Australia. But be aware that because the mirroring of the court orders from South Africa can be somewhat complex it’s best to instruct as lawyer who knows both jurisdictions well. So, if you’re finding yourself in the predicament where you have the opportunity to raise your child or children in Australia but are having issues in getting their biological parent to agree, don’t feel disheartened and give up on your dreams, you are most certainly not without options. Pathway's team is experienced in bringing court actions in South Africa to obtain the necessary consent. Contact our friendly team to discuss your options today. Newer PostHow does an Australian business visa work? What is required?